Marlow Shami BFA, M.S. 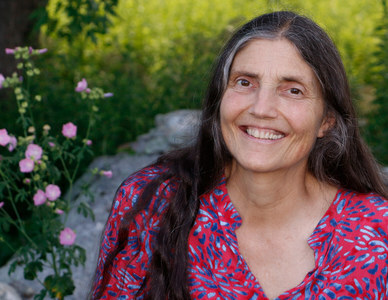 is a nature-based teacher, artist, healer and writer who conducts Nature as Healer workshops and talks throughout New England. She specializes in the healing connection between humans and the natural world. Shami received her BFA in photography and video from the University of Hartford Art School in 1975 and her Masters in Science in Ecopsychology in 2001. During the mid-1970's and early 80's, Marlow worked as an independent videographer and still photographer producing educational videotapes in the greater Hartford, CT area. She and Donna Landerman co-produced the award-winning documentary "Coming Out of Violence” for the US Commission on Civil Rights. This program was distributed nationally to universities and aired on Public Television stations. Marlow then embarked on a seven-year career as an editor, videographer and producer for TV news at a CBS affiliate. Here she and Gayle King were nominated for a New England Emmy for a news series they created together, and she worked with both labor and management to create a safer work environment. Throughout these years Marlow continued to collect still images and video footage. Although not actively making art during these years, she felt compelled to continue collecting. Fast forward 20 years, a period of time in which Shami worked a variety of jobs and completed a number of training programs in both the arts and ecopsychology. In 2001 she earned a Masters of Science in the field of Integrated Ecology - Applied Ecopsychology. The knowledge and experience of this field of study inform Marlow’s work as an artist and inspires her Nature As Healer talks and workshops.